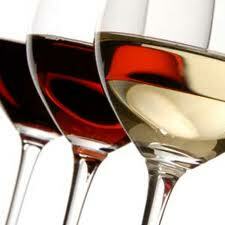 As summer is waning, I am still wine-ing and looking for wines to serve my guest at our Cape Cod Inn. Wednesday’s weekly wine tasting at the Belfry Bistro gave me some good ideas for my fall offerings. Classic Wine Imports’ Sales Consultant Polly Hemstock hosted the tasting of Wente Vineyards wines. We were fortunate to have Dan Meunier the New England Regional Sales Manager for the Wente Family Estates to discuss the four wines poured. As I leaned, and I always learn something, Wente is the oldest, continuously operated family-owned winery in the country, founded more than 128 years ago. Today, the wine making and vineyard management is under the fourth and fifth generations of the Wente family. The Wente Estate wines are made from grapes from their almost 3,000 acres of “sustainablely” farmed vineyards. For over one hundred years they have been in the forefront of the “new” concept of sustainable production, which now many consider to be the new wave in wine making. Wente Vineyards is located just east of San Francisco in the historic Livermore Valley and is also now recognized as one of California’s premier wine country destinations. They feature wine tasting, fine dining, music festivals, and championship golf. Ironically, I was first introduced to Wente in the late 1970s on my first and only sailing adventure in San Francisco Bay. We sailed with an inexperienced friend from San Rafaela past San Quentin to Tiburon, CA. Wente had a tasting room just off the pier where we purchased and drank a little wine before our ill fated return sail. After a long frightening trip home in a stormy and turbulent November San Francisco Bay, I had intentionally forgotten my Wente wine tasting along with the rest of that nautical experience. My Wednesday tasting of Wente Vineyards inspired me to recall my sailing memories and also created a new appreciation for the Wente wines of today. We started with a Tamás Estates 2009 Pinot Grigio. Tamás Estates is a part of the Wente Family Vineyards portfolio that has focused on Italian style grapes. This crisp and refreshing white wine paired nicely with Atlantic Salmon Tartare, a nice summery start to the evening. Next we had the Wente 2009 Riva Ranch Charonnay, with Baked Stuffed Barnstable Littleneck Clams. 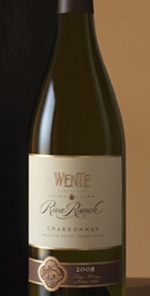 Wente was the first California winery to produce a wine labled Chardonnay in 1936 and many of today’s great Chardonnys are grown from Wente clones. Although aged in oak, the oak was so subtle that I thought it was a non-oaked Chardonnay, which I tend to like. Our first red of the night was the Wente 2009 Sandstone Merlot, paired with Seared Long Island Duck breast. This merlot is one of Wente’s Vineyard Select wines named for the specific vineyard sourced for the grapes, i.e. the Sandstone Vineyard. This wine is fremented and aged in stainless steel and not oak. This method yields a lower tannined, friutier, and very approachable merlot. It worked perfectly with the Duck. As the sun was setting on a perfect Cape Cod evening, we finished with the Murietta’s Well 2008 The Spur. Murrieta’s Well is another part of the Wente Family Vineyards portfolio. Also in Livermore, its origins date to the discorvey of an artisan well in 1850 by a Joaquin Murrieta. The Wente’s have been involed since the 1930s and now produce some interesting blends. The Spur is a very drinkable blend of Cabernet Sauvignon, Petit Verdot, Petite Sirah, Cabernet Franc, and Malbec. Murrieta’s Well also makes a white called The Whip. I assume the inspiration for the name comes from a western, cowboy, horse theme and not…., well I won’t go there. It was another great night of wine tastings and food pairings. I now have more choices to offer my guest at our Sandwich Inn and a whole new respect for the Wente Family of wines.